What started as one Assistant Head’s mission to transform homework and communication in his school with Show My Homework, has now transformed into a global brand, saving teachers time, improving schools and streamlining classroom management. Welcome to Satchel. We provide a powerful learning experience, trusted worldwide to help people become the best they can be. Celebrating the power of ideas, we are innovators on a continuous journey of discovery. Pursuing the fulfilment and growth of our team and our customers with successful determination. Approachable, friendly people who always engage openly, with empathy and understanding. Our caring approach and true conviction to provide high quality services and a lifetime of trust. Book in a telephone demonstration or arrange for an SLT visit and see how Satchel can help transform learning in your school. At Satchel we take security very seriously and are constantly working to ensure that our IT and your data is secure against cyber-attack. 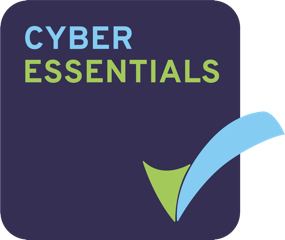 As recommended by the DfE in their GDPR toolkit, we are certified by Cyber Essentials that our infrastructure is suitably secure and meets the standards set by them. If you need help or have any questions about your account, please contact our support team. Our HQ is located by the vibrant Olympic Stadium in Stratford, London. Come and say hello!